The Brayford Studio is the first centre in Lincolnshire to use this new technology. The Brayford Studio is the only registered and recognised clinic for Nuchal Translucency and Nasal Bone Measurement. 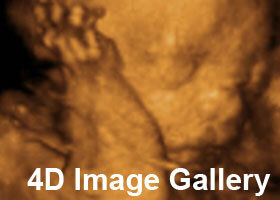 3D & 4D ultrasound scanning is the most recent and highly sophisticated technology. 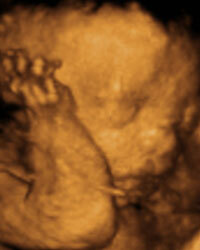 It has revolutionised the way we can visualise, examine and see the developing baby in utero. 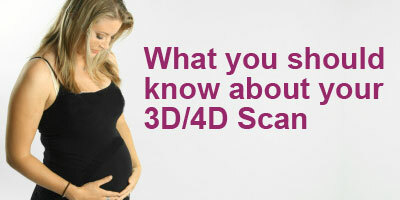 Parents find 3D ultrasound scanning and 4D ultrasound scanning very reassuring that that baby is developing normally. Normal 2D Ultrasound is made of black and white images. 3D ultrasound scanning provides visualisation of the baby in three planes while the fourth dimension is the movement and the depth of the scan. Coloured pictures make it very real as if the baby is viewed outside the mother's womb. 3D Ultrasound scan has revolutionised not only obstetrics and gynaecology but also all other branches of both diagnostics and clinical medicine. Since Professor Ian Donald had introduced 2D Ultrasound scan in the early 20th century, there is hardly any day where 2D ultrasound scans, 3D ultrasound scans and 4D ultrasound scans has not been performed for one reason or another in the clinical practice. The practice of Obstetrics & Gynaecology is very much inter-linked with 2d ultrasound scanning, 3D Ultrasound Scanning and 4D Ultrasound Scanning. It is therefore an integral part of the speciality and every day medicine. Both Colour and Power Doppler are further development, which are so important in examining and evaluating fetal health, physiology cardiac function and fetal circulation. This is particularly important in assessing cardiac disease in the fetus. The other major advance is the application of the third dimension, (3D), Ultrasound to obstetrics and there is no doubt that this will provide a further new insight into fetal disease. This is not only for the parents who will for the first time truly see their unborn baby and its health, abnormality or otherwise but also for the clinician who will be able to provide more accurate counselling following examination of the 3D ultrasound images and 4D ultrasound images. Brayford Studio Lincolnshire use state of the art technology. The GE Veluson 730 TM™ to complete the examination. The GE Velluson 730TM™ has been shown in several TV commercials and featured in many articles from around the world. It is latest and best Ultrasound scan machine to perform the 3D & 4D live motion images that are of a superb quality. There is a plasma screen on the wall for easy viewing of your scan. The Ultrasound Consent Form is in PDF format, you require the Adobe Reader to view this document. 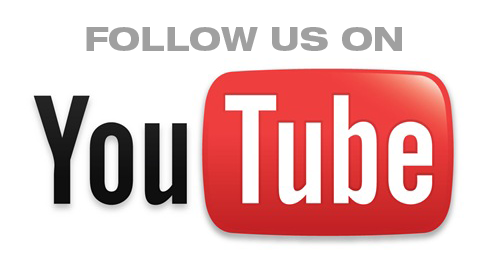 If you do not have the Adobe Reader you can get it here. Come and see your unborn baby face to face to reveal this miracle of life and have the first sight of your baby, a sight you will treasure for the rest of your life.